With our low price guarantee* on all our newly modified handicapped vehicles, AMS Vans is one of the most trusted handicap van dealers. All AMS Vans wheelchair minivans can be delivered right to your home or office in Napa, California or nationwide (delivery fees may apply) and come with free white glove service where our mobility professional will teach you how to use the ramp and any mobility equipment on your new minivan. After you go over your modified wheelchair accessible vehicle from our inventory with our mobility professional, if you aren&apos;t completely happy with your purchase upon delivery, you can send it back with no obligation. All new and used wheelchair vehicles with new AMS Vans brand conversions come with a great warranty, nationwide service, and 24-hour emergency conversion help line. New or used minivans you already own can be modified by AMS Vans into one of our quality handicap vans. The AMS Vans Edge, AMS Vans Edge II, or AMS Vans Legend handicap accessible van conversions are available on most models of Dodge, Chrysler, Honda, or Volkswagen minivans. 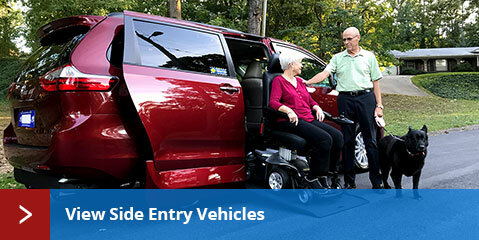 Add additional ambulatory passenger seating with jump seats or other custom mobility equipment during your wheelchair accessible van conversion. AMS Vans has new minivans with power and manual wheelchair ramps in stock and available to Napa, California. Your choice of side or rear entry handicap accessible van conversions are available on most Dodge, Honda, Chrysler, or Volkswagen minivans. 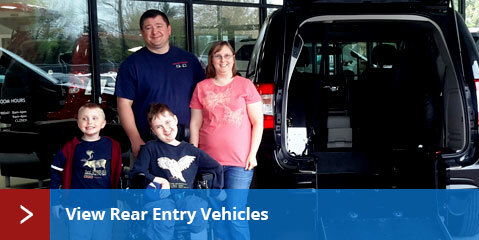 Qualified buyers are often eligible for mobility rebates on new minivans. Pre-owned minivans with new and used conversions by AMS Vans are available as well as wheel chair vans by Braun, VMI, Rollx and other wheelchair vehicle manufacturers from Napa, California and across the country. Choosing to buy a used minivan saves you money in the long run by having less depreciation. Get the best of both worlds by buying a used minivan with a new conversion and get an incredible conversion warranty from AMS Vans as well as any remaining warranty on the minivan itself from the manufacturer. Whether you are selling a wheelchair van or un-modified minivan in Napa, California AMS Vans has a fast, simple solution for you. Not only will AMS Vans buy your vehicle in a quick direct sale with a high payout, we&apos;ll pick it up right from your home or office in Napa, CA or anywhere across the country. Even if your wheelchair minivan is manufactured by Braun, Rollx, or VMI, AMS Vans will still purchase it direct. Customers are constantly leaving feedback stating how much higher our offers are for used mobility vans then other dealers. AMS Vans accepts used handicap accessible vans from Napa, CA and nationwide for trade on new AMS Vans conversion minivans and for cash on AMS Vans brand handicap conversion vans that you no longer need with our Buy Back Program. Used minivans without wheelchair conversions from Dodge, Chrysler, Honda, and Volkswagen from Napa, California can be sold direct to AMS Vans. In order to provide accessible transportation for an even lower price without the heavy depreciation that occurs on a new vehicle, AMS Vans converts pre-owned minivans into used AMS Vans scooter vans with new ramp conversions. 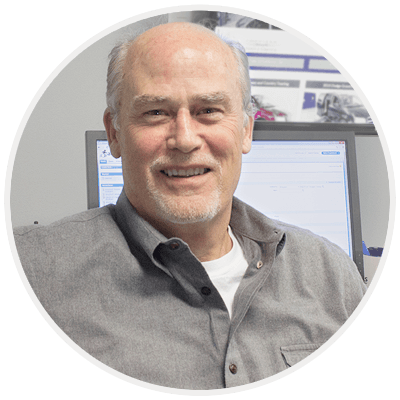 AMS Vans mobility classifieds connects buyers and sellers of accessible vehicles in Napa, California and nationwide. When one of our customers is ready to sell their used AMS Vans handicap accessible van, they can post a for sale advertisement for free the first month in our mobility classifieds. Choosing to use our mobility consignment program gives you an expertly worded "for sale" ad as well as one of our trained mobility consultants to answer any requests for more information or questions regarding your mobility van. AMS Vans is rethinking how dealers sell accessible vans by selling direct online to keep prices low and having your own personal mobility van lot that&apos;s open 24 hours a day, 7 days a week without high pressure sales associates and only as far away as your computer screen. Research what other wheelchair accessible van customers think of AMS Vans in Napa, California and nationally by reading our handicap van customer testimonials. Even after the sale, we offer a great referral program for previous customers where if someone mentions your name while they are buying a wheelchair vehicle, we&apos;ll send you a check for $250. It&apos;s that simple. 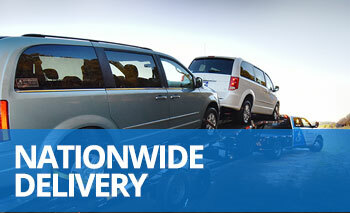 At AMS Vans, we make the most of your dollar rather than get the most dollars from you.